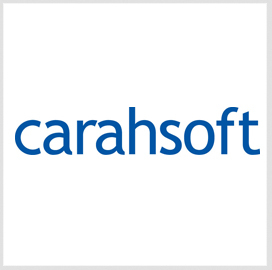 Measure UAS has partnered with Carahsoft Technology to market drone software and services to the public sector through a NASA contract vehicle and multiple cooperative purchasing agreements. Carahsoft said Thursday it will support sales and marketing efforts for a drone-as-a-service platform as the master government aggregator of Measure and added the DaaS offering on NASA's Solutions for Enterprise-Wide Procurement V contract. Reseller partners and customer agencies can access the platform via SEWP V as well as contracts managed by the National Association of State Procurement Officials, National Intergovernmental Purchasing Alliance and National Cooperative Purchasing Alliance. Measure designed its DaaS business model to help organizations provide training, analyze data and implement software for drone programs or aerial intelligence missions. A Measure-built drone software product works to help drone operators manage flights, equipment and data collection efforts. The Ground Control 2.0 platform is designed to also generate activity reports and store information.